former college student accused of murdering a Martin County couple and chewing one of their faces appeared in court Monday. Several motions were discussed in the case of 22-year-old Austin Harrouff, including his mental health. MARTIN COUNTY, Fla. — A former college student accused of murdering a Martin County couple and chewing one of their faces appeared in court Monday. Several motions were discussed in the case of 22-year-old Austin Harrouff. A judge decided to allow as evidence a video of Harrouff struggling against his restraints at a Florida hospital on the night he's accused of killing two people. 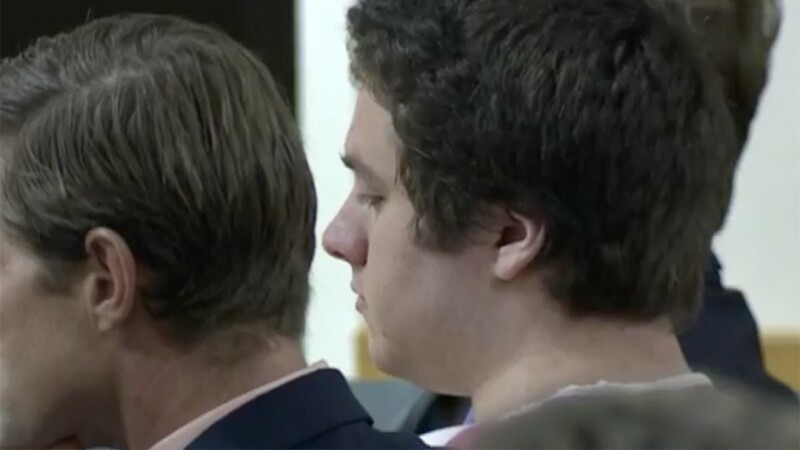 Harrouff's attorneys say the video shows the "mental status" of the 22-year-old hours after he's accused of killing 59-year-old John Stevens III and 53-year-old Michelle Mishcon. Police say the Florida State University student was found biting and chewing on Stevens' face in the couple's driveway. According to a new mental health report, Harrouff thought he was "half man, half dog" in the days before the deadly attack. Harrouff is charged with first-degree murder, as well as attempted first-degree murder for allegedly attacking the couple's neighbor, Jeffrey Fisher. Harrouff's trial is set to begin on Nov. 4, and could last three weeks. His attorneys said they will rely on the insanity defense. Information from AP and the WPTV web team.